As a global yoga teacher, I am eager to share both yoga and my travels with you. For the last 20 years I’ve been traveling and leading Yoga Journeys into every corner of the world. In 1999 I founded Yoga Journeys, an international Yoga Travel and Retreat venture with the intention to bring yogis like you on journeys to some of the most exotic destinations. As you peruse my website you’ll find some journeys that are more athletic, other journeys that are more spiritually or culturally oriented, all depends on the location. 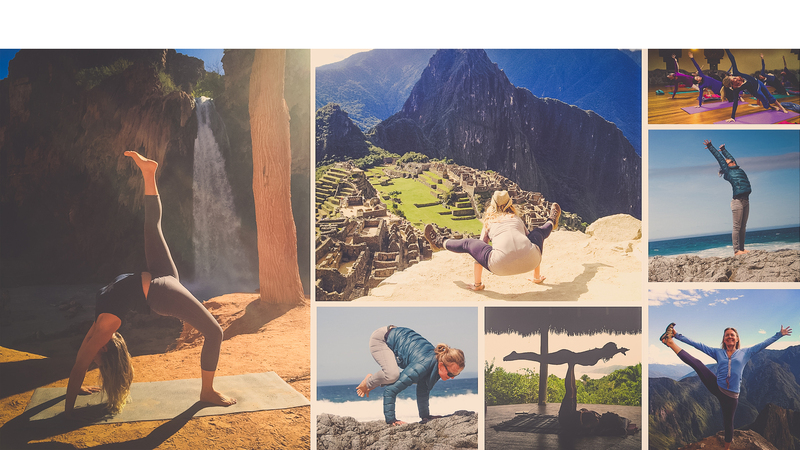 While traveling with the group I lead all the yoga sessions, create the itineraries and coordinate the many expeditions and expert guides to ensure you will get to see and experience the true, authentic gems of each country while deepening your yoga practice. I’m dedicated to sharing yoga in the most empowering and uplifting way with yogis of all ages and abilities. I cherish the creativity that has evolved the way I share vinyasa Yoga with sequences that not only open the body and mind, but unwind tension patterns and truly transform the flow of energy within. Join me on an international Yoga Journey or a local SF Bay Area Yoga Day or a Sunday morning yoga class at Yoga Works in Larkspur Landing, CA and you’ll be sure to get to know more of who you are, expand your circle of friends and be empowered to live life to the fullest!